The Mapview development team is always thinking of ways to make the app even more helpful to users. In doing so, it may be hard for busy users to keep up with all of the updates, and there may even be a few features you aren’t aware of! 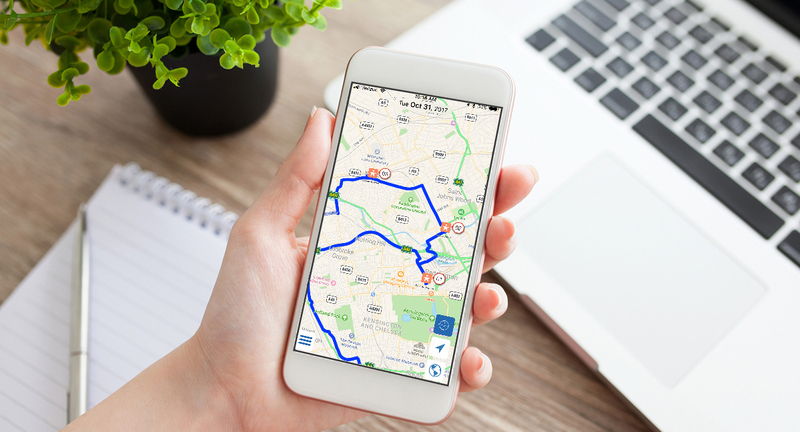 If you are up and running with the app and ready to take it to the next level, our team has put together the following top ten list of advanced Mapview features that will help you be even more successful. Did you know that you can search records for practically any data field in Mapview? Say a call came in while you were at an appointment and the number does not look familiar. Instead of blindly dialing it back, go to “List by Name,” type “Phone:” and begin entering the number. If it is from one of your clients, the associated contact listing will appear. View all of your search options in this helpful article. If you want a log of calls made throughout your day, try using Mapview’s VOIP calling service. Call from anywhere, to the US or Canada, and even use Caller ID options. Here’s how. At the end of the week, you can export a report with all of your calls (See #3). This feature is included in your Pro plan and free trial, so give it a go and see if it makes your day easier. Whether you need to prepare weekly reports for your manager, or just want a list of all of your prospects, you can use one of Mapview’s newest features to easily export your data. Read more. Run wild with your creativity! By creating custom pins, you can immediately identify your filter categories. Since Mapview is built as a native iOS app it can utilize all of the bells and whistles that Apple has built into your device. Instead of typing a note simply tap the microphone icon on your keyboard to get started. When using the spreadsheet import process you can create custom contact fields based on any columns in your spreadsheet. This is an opportunity to import very custom, industry-specific data in the app, as well data used across all verticals such as Rating, Pipeline Status, etc. Contact field options are discussed near the end of this Spreadsheet Import article. If you ever wish to add a contact or task to a specific location on your map, simply press and hold at that location. Mapview will detect and auto-populate the address for you to create a contact or visit at that location. Tap the pin icon to arrive at the location management screen where you can set rules such as “Do not map meetings at the Upstairs Conference Room,” etc. Finally, if you ever wish to move a pin to manually change it’s associated address, just drag and drop it on your map. Like #7 above, another Press and Hold option is available under List by Name when selecting the Mapview or Circle View. Each provides a list of nearby contacts and you can press and hold on any contact name for directions to pop up. When utilizing meeting tasks (drop in visits) you have some handy options to manage your day. First, if you ever need to re-arrange the order of your drop-in visits, from your Trip Listing simply tap “Edit” and then at the Edit screen press and hold on the horizontal grid lines to drag and drop your visit elsewhere in your schedule. Also in your trip listing, you can use the status flags to further manage your tasks. Remember, if you don’t get to it today we’ll carry it over until tomorrow for you! For users with many groups, it may help you to know which contacts fall into multiple groups. For example, which of my Top Accounts are also in my Renewal group? To do so, you can use advanced group filtering. And remember, if you have contacts that belong to multiple groups they will always display the pin of the group listed first. Just press and hold to reorder any groups. We hope this Top Ten list was helpful in finding even productivity gains when using Mapview. If you have any questions or suggestions please contact us. Thanks for using Mapview!